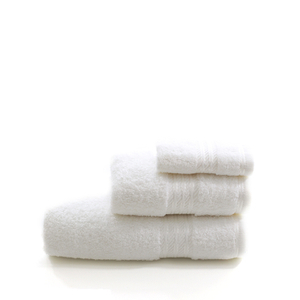 The Restmor 3 Piece Towel Bale is a sumptuous 500 GSM towel set crafted from 100% combed Egyptian Cotton. Designed to retain softness and absorbency wash after wash, the towels are detailed with a contemporary header panel at either end to add a luxurious feel to any bathroom. The set comprises one bath towel, hand towel and face cloth. Nice towels, soft, wash and dry well.